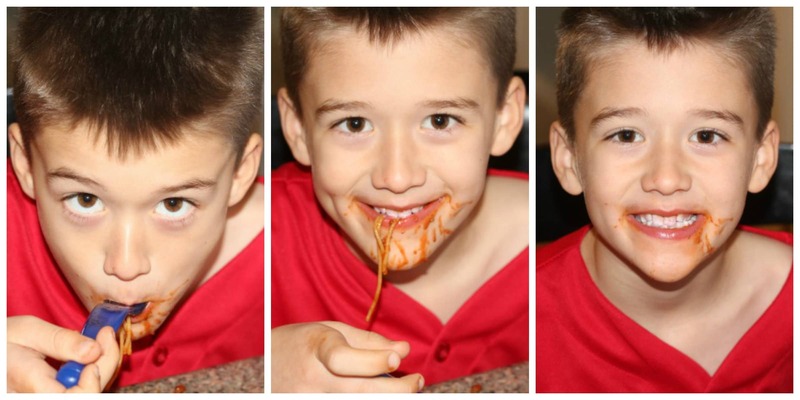 My husband is from Ohio, and loves Cincinnati Chili Spaghetti. 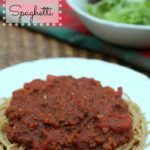 I usually use a Cincinnati Chili spice packet, but wanted to create a recipe that better fit into our clean eating lifestyle. Plus, it’s so important to me to make sure that we eat lots of veggies. Believe it or not, this spaghetti sauce is chock full of fresh squash, zucchini, onion, carrots, and green peppers. I know, hard to believe. Trust me, it doesn’t make the sauce taste weird at all. If anything it’s so much more hearty and robust. I used whole grain noodles, and served with a yummy salad. It’s also AdvoCare 24-Day Challenge Friendly. I purchased the organic spaghetti sauce and organic canned diced tomatoes at ALDI at incredible prices! In case you didn’t know, ALDI is now carrying more natural and organic products! If you don’t see them in your store yet, hang on you’ll see more soon!! Tip: To save time, I always keep lean ground beef browned in my freezer. Tons of healthy yummy veggies here! My kids have gotten used to veggies in just about everything that they eat, if yours aren’t then you may want to cut the veggies a little finer. I used my food chopper, but you could use a food processor, chop by hand, or a grater. Wondering if it was delish? I think by the looks of things I hit a home run with this recipe. Everyone asked for seconds and thirds. Success! 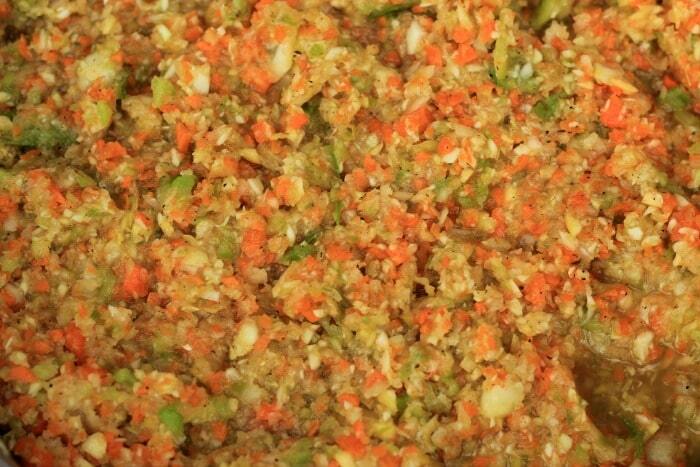 Saute veggies in 1 tablespoon olive oil, salt, and pepper for 5-10 min stirring occasionally. If you are short on time, you can skip this step and just throw all the veggies in the slow cooker. Add ground beef, veggies, and rest of ingredients to slow cooker. 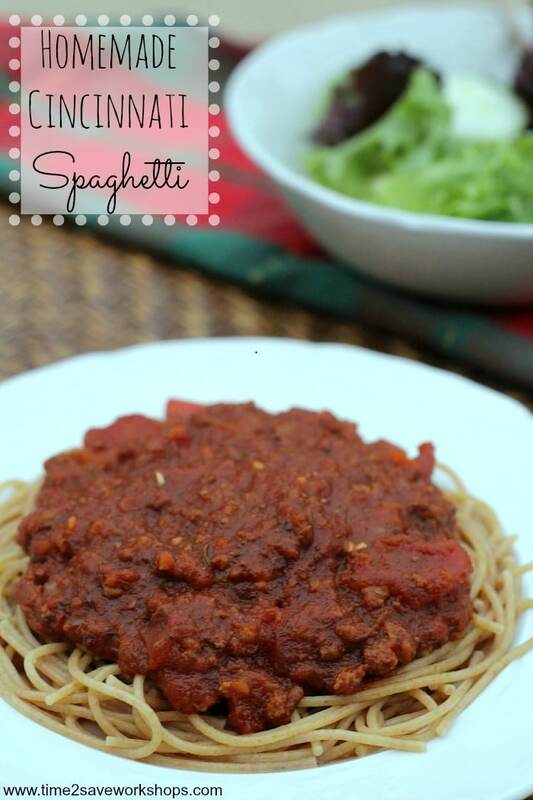 Serve with whole grain spaghetti noodles. « Leftover Turkey: What’s your favorite meal idea?